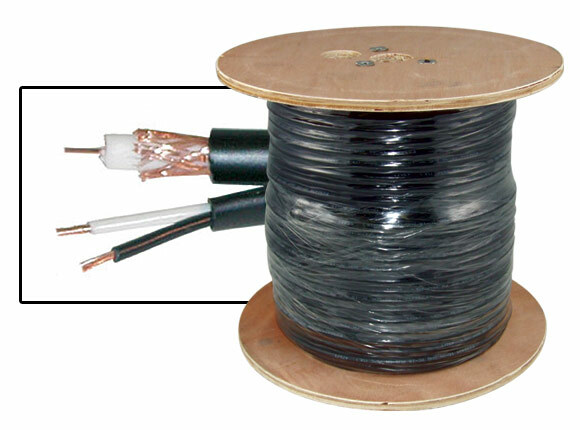 This RG59 Siamese cable combines the video coax cable with 18 gauge 2 conductor (18/2) power wires in the same jacket. 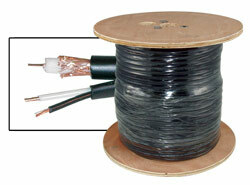 The coax is top quality 95% copper braid and can be run up to 1000 ft. Cable comes on a reel. Found the product easily; simple user experience to order; arrived rapidly and works as expected. Received my order on time. Cable works great. Thank you.